Gregory Spears‘ opera Paul’s Case received high praise for its recent sold-out NYC premiere at PROTOtype Festival. Press called it a “masterpiece…tempting to call it ‘the best new opera I’ve heard in years'” (NY Observer) and “a taut, splendid operatic adaptation” (NY Times). Spears’ vocal writing was lauded as “ravishing” and “especially admirable” and librettist Kathryn Walat’s adaptation of the original Willa Cather short story “finely made” (New York Classical Review). Jonathan Blalock, who reprised his role from the opera’s premiere at UrbanArias last April, had “even more theatrical and vocal authority as Paul” (Wall Street Journal). AOP began development of the opera during the 2008-09 season of Composers & the Voice. A new production of the opera will appear at Pittsburgh Opera in February. In its profile of the current fusion of opera and dance, the Fall 2013 issue of OPERA America Magazine singled out AOP’s Wolf-in-Skins as a prime example of the form. Williams, a trained dancer, is also the works’ director and choreographer. “As a director, I have a tool belt from which I can pull out whatever tools are necessary to tell the story,” he says. “I don’t see boundaries between the art forms and each has an ideal way to convey the narrative at that moment.” In Wolf-in-Skins the Singers also dance. Williams felt that the epic nature of Wolf-in-Skins required equal contributions from opera, dance and the visual arts, and takes his cues from Wagner’s gesamtkunstwerk and Diaghilev’s Ballet Russe, where collaborations were forged among Stravinsky, Debussy, Picasso, Matisse, Balanchine and Massine. Portions of Wolf-in-Skins were performed earlier this year with Philadelphia Dance projects and co-presented by American Opera Projects, which has also helped developed the work. The complete article, written by Patricia Kiernan Johnson, is available online to OPERA America members and downloadable at the iTunes Store. Wolf-in-Skins is currently in development at AOP. AOP and Opera New Jersey are proud to announce their second summer of collaboration with this July’s Two Operatic Monodramas, after their inaugural partnership last year with Thomas Pasatieri’s The Family Room. Two Operatic Monodramas – featuring The Wanton Sublime, by composer Tarik O’Regan and librettist Anna Rabinowitz, and Our Lady, by composer Gregory Spears with texts from medieval Provençal – examines the human and mythic aspects of the Virgin Mary. Both monodramas will be presented as staged readings on July 21st and 22nd at McCarter Theater Center in Princeton, NJ. The Wanton Sublime will feature mezzo-soprano Hai-Ting Chinn raising questions about Mary’s role as the “eternal feminine.” Countertenor Ryland Angel joins AOP once again to sing of Mary’s sorrow and love in Our Lady, following two performances of the same work in Fall 2011. Conductor Steven Osgood will lead an ensemble of strings and keyboard under the stage direction of Crystal Manich. July 21 at 2 p.m.
July 22 at 7:30 p.m.
Buy tickets online or call Opera New Jersey at (609) 799-7700. 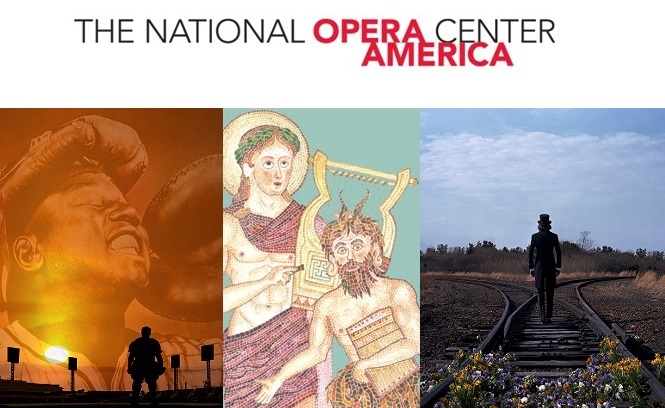 BROOKLYN, NY – American Opera Projects (AOP) announces that composer Huang Ruo’s The Weeping Camel and composer Gregory Spears’s Paul’s Case are awarded $10,000 each from the National Endowment for the Arts ART WORKS to support developmental workshop productions with AOP and partners. Both operas will be developed through AOP’s First Chance series that presents concert readings of new operas in an intimate format that allows for direct conversation between audience and artist. 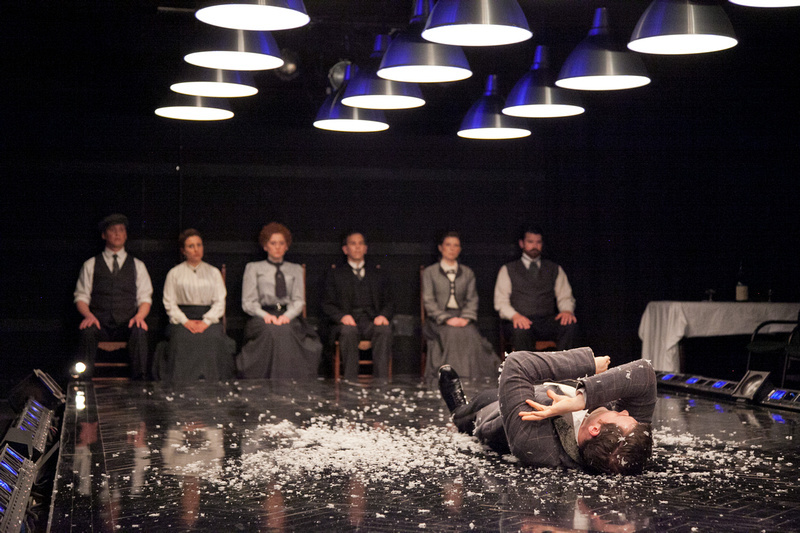 Operas that receive fully-staged premieres after passing through First Chance include Tarik O’Regan’s Heart of Darkness (London’s Royal Opera House), Jorge Martín’s Before Night Falls (Fort Worth Opera), and Stephen Schwartz’s Séance on a Wet Afternoon (New York City Opera, Opera Santa Barbara), among many others. Based on a true story that was the subject of an Academy Award-nominated documentary, The Weeping Camel follows a family of nomadic shepherds in Mongolia and their struggle to save a newborn camel calf through a native musical ritual. The opera for audiences of all ages will integrate both Western and Chinese opera traditions with contemporary musical language as well as use Chinese masks and puppetry to tell its uplifting story about the spiritual power of music. The Weeping Camel composer Huang Ruo and librettist Candace Chong most recently collaborated on the opera Dr. Sun Yat-Sen, which received the world premiere of its Chinese orchestra version at the Hong Kong Culture Centre Theatre with four performances in 2011 and a recent debut at Le Poisson Rouge, January 10, 2012. American Opera Projects will develop The Weeping Camel in collaboration with New York City’s Symphony Space and the Guangzhou Opera House company in China. Paul’s Case, by composer Gregory Spears with a libretto by Kathryn Walat based on the story by Willa Cather, is a two act chamber opera that chronicles the dissolution of a high school dandy living in sooty turn-of-the-century Pittsburgh. 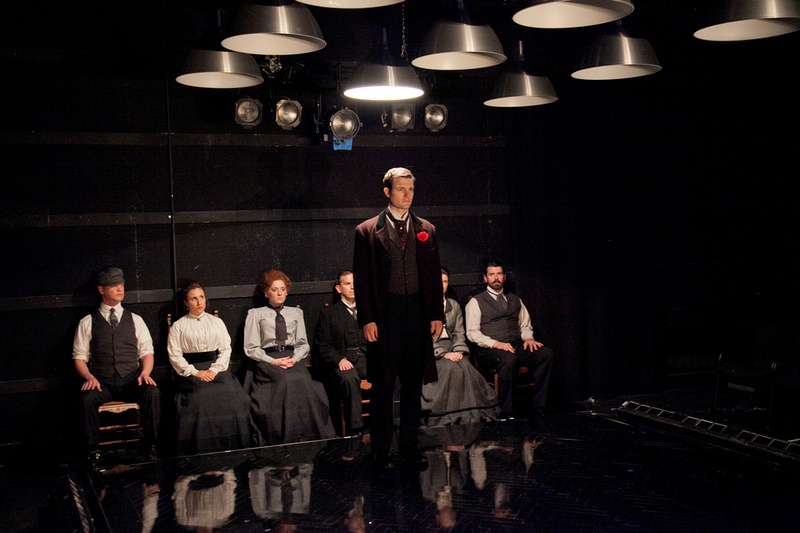 Initially developed during American Opera Projects’ Composers & the Voice residency program, has presented workshops of Paul’s Case at the Manhattan School of Music, OPERA America’s Opera Conference 2010 in Los Angeles, and at Center City Opera Theater in Philadelphia where it was noted for its “solid dramatic timing, compassionate characterizations, and huge potential” (Philadelphia Inquirer – David Patrick Stearns’ Best in Classical Music for 2009). The opera has been developed in part with grants from the BMI Foundation and the Virgil Thomson Foundation. Paul’s Case will complete development in Brooklyn during the 2012-13 season.